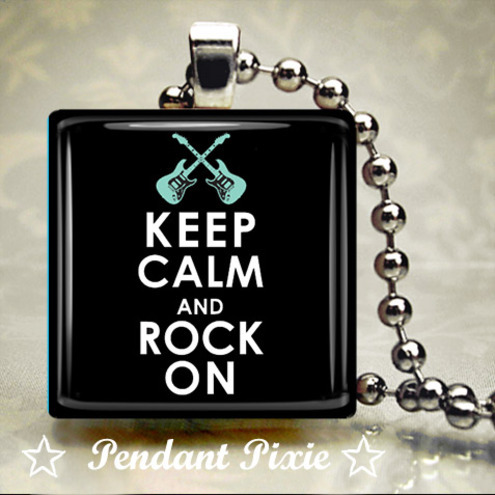 This Keep Calm and Rock On Pendant has been made from an old wooden scrabble tile. Get it from Pendant Pixie. This Baby Bandana Bib is made from some great guitar print fabric. 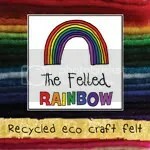 It’s made by Sew Pumpkin. 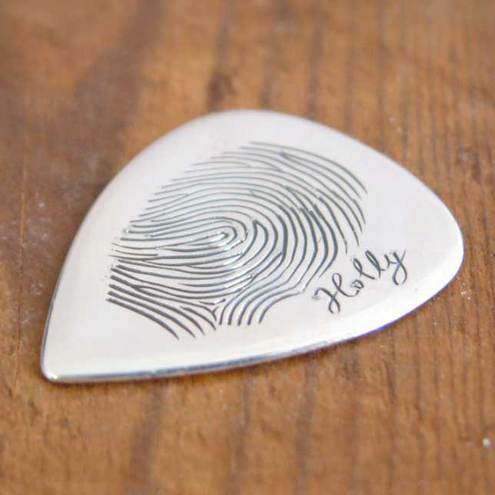 Get your own fingerprint hand engraved onto a silver guitar plectrum made by Chris Parry. 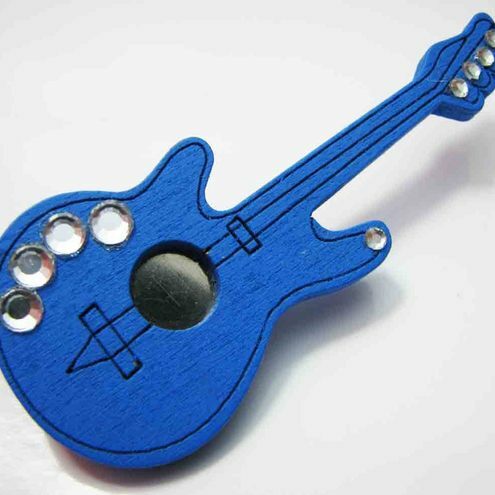 This Blue Wooden Guitar Brooch has been made by Voodoo Kiss. 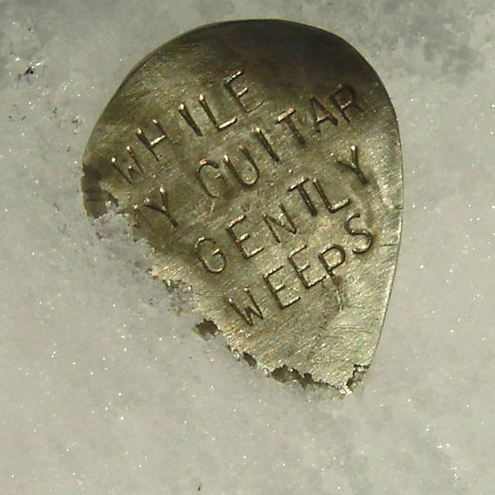 This Hand Stamped Silver Guitar Pick from Silverhand can be personalised with any short song lyric, phrase or message.